You’re bound to get good vibrations from Han Ga Ram once the samgyupsal pork belly ($135) hits the grill, its thick layers of fat flickering and popping in the flames until the edges crisp up. It’s one of the many dishes we’d come back for, along with the succulent galbi short ribs ($170) steeped in a sweetened soy sauce marinade. Order a basket of crisp lettuce and perilla leaves ($55) and bundle the meats up with a sliver of raw garlic. You could easily make a meal out of the extensive barbecue selection but that would come at the cost of the other brilliant items Han Ga Ram has to offer. The dubboki ($130), for example, is a piping hot, stir-fried mess of al dente rice cakes and onions plunged into a viscous red chilli paste. It’s soul food from Seoul, served with folds of fish cakes to sponge up the sauce. The kimchi jjigae ($115) is also worth a shout-out. Though the stew is a mainstay at most Korean restaurants, Han Ga Ram’s version is an impressive balance of bold, spicy and savoury flavours. Loaded with firm tofu and fatty pork, this might be one of the most perfect things to eat on a cold day. The restaurant also does lesser-seen Korean dishes, including susam moo ssam ($160) – a fusion-inspired salad roll crafted from thin sheets of pickled daikon wrapped around strips of ginseng, bell peppers and pea sprouts. The dish is served with a sprightly yellow mustard sauce but the daikon (soaked beforehand in vinegar and sugar) is sweet enough on its own without any additional condiments. 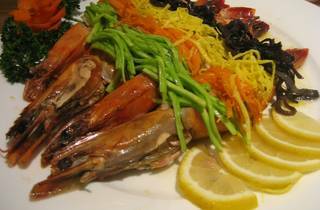 We also recommend the steamed king prawns ($200), which are cooked ever-so-gently in a house special marinade. 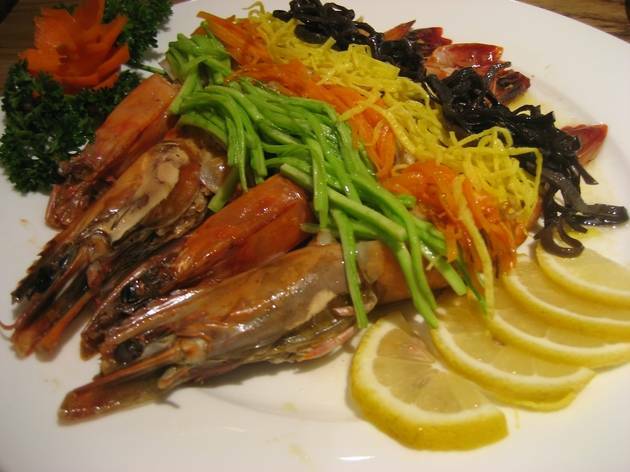 With the heads and tails still intact, the prawns are split down the centre to reveal their sweet, cottony soft flesh – a delicious foil to the crunchy ribbons of julienned cucumbers, carrots and wood ear fungus heaped on top. 3/F, Plaza 2000, 2-4 Russell St, Causeway Bay, 2891 5090. Daily 11am-11.30pm. Dinner for two: around $700.